That’s how long it took Western Illinois men’s basketball coach Jim Molinari to build the Leathernecks into Summit League champions. After taking over at the start of the 2008-09 season, Molinari endured three consecutive losing seasons. 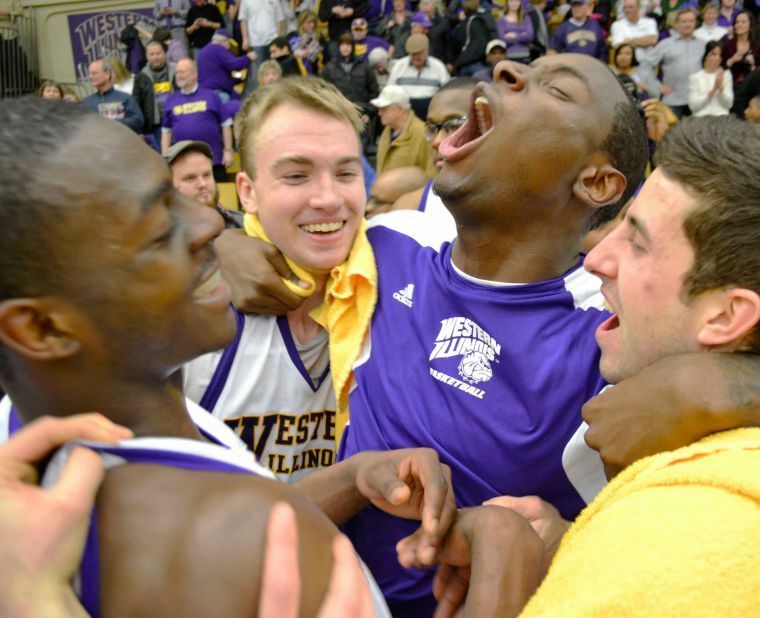 It wasn’t until the 2011-12 season that Western saw the rebuilding process come to fruition, as it achieved an 18-15 overall record and made the Summit League Championship game last March. However, South Dakota State defeated the Leathernecks in the championship 52-50 in overtime, leaving a bitter taste in their mouths. Entering Saturday’s contest against South Dakota, the Leathernecks were 20-7 overall, and would win a share of the conference title with South Dakota State if victorious. The Leathernecks defeated the Coyotes 61-59, not only locking up a share of the title — the first regular season title in the Leathernecks’ Division I history — but also set a program record for best regular season record (Division I era). After battling injuries and the frustration of a few losing seasons, senior point guard Clark — who was granted a sixth year of eligibility in the offseason — couldn’t help but get a little emotional in the post-game press conference. Perhaps no one appreciated the crowd support more than Molinari, who has seen a drastic rise in attendance at home games recently. After only drawing 1,182 fans last year, Western averaged 2,454 fans a game this season, including three games with over 4,000 fans in attendance. Even though Western has accomplished a number of things already this season, there is still one more goal the Leathernecks share: win the Summit League Tournament this weekend and earn an NCAA Tournament berth. Western will be a No. 2 seed in the tournament this weekend (the Jackrabbits own the tiebreaker) and face South Dakota on Saturday at 8:30 p.m.
“We’ve got more work to do,” Molinari said. “We’re going to have to get better this week and then go back and play this team again in an unfriendly atmosphere. But the reality of it is, I’m a big regular season champion person too. Because that’s what you do over the course of six months.